This highly popular book is a manual for positive living. Characterized throughout by a thoroughgoing optimism, it shows with extraordinary clarity how we can transform an ordinary human life into a blissful spiritual path. 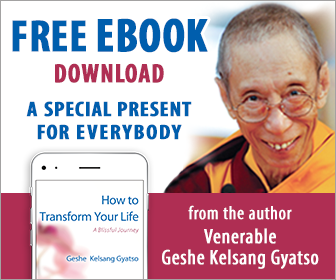 All quotations from Geshe Kelsang Gyatso's books copyright The New Kadampa Tradition - International Buddhist Union, all rights reserved worldwide. For more information on Geshe Kelsang's books visit Tharpa Publications.